My Spyder ('81 f/l) has failed it's MOT on split steering rack gaiters (and a few minor bits) so I ordered these from Mark at Betaboyz and they arrived promptly. 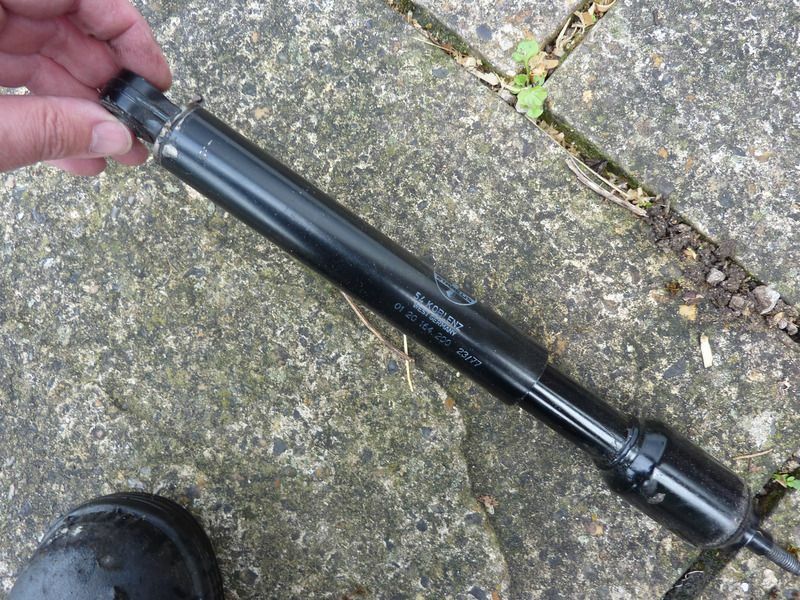 The garage now say that the reason for this was that the steering rack damper has leaked all it's fluid over the gaiters so advise fitting a new steering rack damper whilst they're at it. Finding it impossible to find this part anywhere in stock - does anyone know where I can lay my hands on one. I have found one at Lancia Auto SA for £210 + carr. but bit pricey and not currently in stock. Any help with this would be hugely appreciated. Take it off and leave it off. Thanks for posting once again Stuart. That is bold advice .... and music to my ears ! This was getting to be a bit of an issue, but I will ask the garage to remove it. Thanks for making my life so much easier ! FYI there are two different types of the damper for the manual rack, I was lucky enough to buy a bundle of parts which included two new ones (sorry not for sale as I need one for the car and will keep the other for a spare just in case). I did spend some time before that looking for them without success, but was only aware of the one with the rubber outer (which had completely perished on the one on the car. The other type has a metal outer which is more like a conventional shocker and probably would be a bit more resilient to the heat from the exhaust. Even if you do not replace it, I suggest you wrap the exhaust to try to keep the temp down around the rack gaiter which does go brittle with heat after a time, again mine was pretty poor when I took it off. I wonder if Lancia found the rubber outer were failing and changed the spec? My new one was a Seat packaged metal one, eBay from Holland. Do you have a pn on it and manuf? Thanks for that. I don't blame you for hanging on to a spare unit, they're pretty hard to come by. I will get the exhaust wrapped and see how things turn out without the damper. I took a pic of my spare. Which is new but feels shot or at least not smooth. The part number is clear. Ok, so the last few digits are the manuf date at a guess. Oddly enough mine is also not smooth, so maybe that is how they are? The Way one is smoother. Original and replacement look identical to Stuart's , albeit part number is illegible on spare. Action smooth on both, just the damping to the spare is negligible. Is it possible that most of these have failed due to age? Hence most people don't see the difference when they are removed. Mark, what was the effect when you replaced yours? It was certainly noticeable, but of course within a week you have forgotten what it used to be like!